To celebrate World Oceans Day, today we’ve set out plans to create more than 40 new Marine Conservation Zones (MCZs) across the UK – safeguarding almost 12,000 square kilometres of marine habitats and marking the most significant expansion of the UK’s ‘Blue Belt’ of protected areas to date. The proposed protections will cover an area almost eight times the size of Greater London and reach right the way across England’s coastline – protecting marine species like the short snouted seahorse, stalked jellyfish and peacock’s tail seaweed. If approved, this new tranche will mean almost 40 per cent of England’s seas are protected. MCZs are just one type of the many Marine Protected Areas in place around the UK to conserve rare, threatened and nationally important habitats and species for future generations, currently covering a total of 209,000 square km. This announcement has been covered widely today, including articles in The Telegraph, Guardian, The Times, Mirror, The Sun, Daily Express, Daily Mail and The Independent online. As part of this, media have also highlighted the Prime Minister’s attendance at the G7 Summit in Canada, where oceans will be a key priority. Here she will be making a call for urgent global action to protect the marine environment from plastics and other harmful waste – imploring other world leaders to follow the UK’s lead in working with business, industry and NGOs to find innovative and effective solutions to this issue. 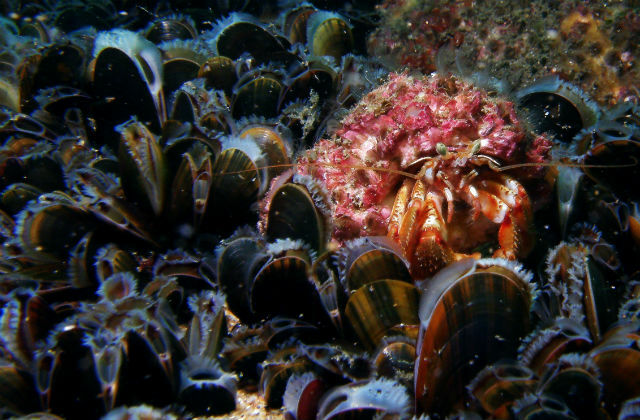 The UK is surrounded by some of the richest and most diverse sea life in the world. We must protect these precious habitats for future generations. Today marks an important step towards completing our Blue Belt. We are creating safe havens for our cherished wildlife and putting the UK at the forefront of marine protection. To mark World Oceans Day, the Environment Agency is also working with partners on a range of activities to raise awareness and encourage people to do their bit in reducing plastic pollution. EA teams have been talking to local press about the effect pollution has on our bathing waters and beaches, in particular the damage plastics are doing to our marine environment – urging action through our #binit4beaches campaigns. As the Environment Agency recently announced, this year, in addition to sampling water quality at bathing beaches Environment Agency teams will also carry out surveys of plastic pollution on beaches. This data will help target the Environment Agency’s work as well as support community action. Farming Minister George Eustice, who is today attending Day 2 of the Royal Cornwall Show, has announced that more than 3,500 grants, worth £23.5 million, have been allocated to farmers from the Countryside Productivity Small Grants scheme. The scheme will help farmers purchase the equipment they need to make their businesses more productive – for example, improving the electronic identification of livestock or introducing guidance systems to aid precision farming. 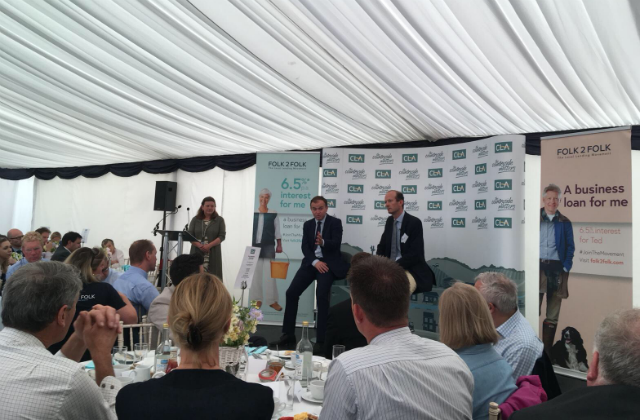 While at the show, Minister Eustice attended the Country Land and Business Association (CLA) breakfast where he met with members and took part in a Q&A session with South West Regional Director John Mortimer. He is also touring the stands and meeting local businesses, including Rodda’s Cornish Cream and local fruit and vegetable growers. It is fantastic to see this scheme has proven so popular, with a collective number of grants now worth £23.5 million, and nearly a third of this funding going towards farms and businesses across the South West. The equipment on the market today can revolutionise farms, saving time and increasing yields. This funding will enable farmers, regardless of the size of their business, to access some of the best kit available. The Small Grants scheme is one element within the £200 million package of RDPE funding announced last Summer. Further guidance on applying for programmes under the RDPE can be found here.